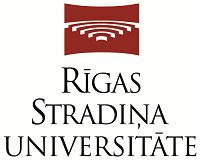 This is the only university in Latvia, which has traditionally been integrated in the healthcare system of the country, and therefore ensures a successful run of the university, which is a precondition for an effective existence of the healthcare system in Latvia. The University is autonomous and academically free to pursue its goals and tasks, working for the benefit of the state and society, and offering a wide array of academic and professional education and research opportunities in the fields of healthcare, social care, social sciences and natural sciences. Medical programme is specifically designed to teach students the core competencies that are required in order to become highly skilled doctors who upon graduation are capable to pursue a wide variety of careers. Studies involve working on a series of patient-centred problems, revealing the basic principles that influence human health and disease. The medical knowledge and practical clinical skills are obtained by giving students the opportunity to work with patients as early as in the 3rd year. For students who have completed the previous 5 academic years at RSU successfully, with good academic standing and without interruptions the tuition fees for 6th year will be 8000 EUR only. Call : 9227656610/09/06/16 for more details.